Writing is a solitary endeavor, but not a lonely one. When you write, your world is populated by the characters you invent and you feel those people filling your life. You need to believe in yourself as an author and be at it no matter what. There would be stones on the way, but you can brush them off if you are passionate about writing. Her first best-seller was Passion's Promise, believed to be inspired by her second husband and their marriage. He was a convicted criminal. 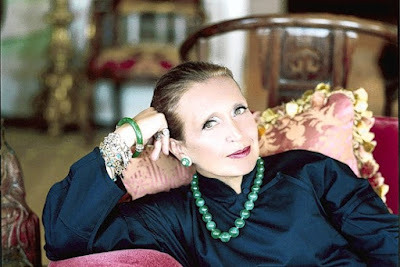 Danielle Steel was married to Claude-Eric Lazard, Danny Zugelder, William George Toth, John Traina, and Thomas Perkins. It is believed that some of her writing is inspired by her relationships. For much of her career, Danielle Steel was best known as a couture-clad San Francisco writer and society gal with a handful of husbands and a soccer-team's worth of kids. But the author—who has sold nearly 600 million books—now lives mostly in Paris, happily husband-less. Happy movies and chick flicks are what she likes to see. "Notting Hill" is a favorite, as is "The Holiday" with Kate Winslet and Cameron Diaz." People might say I have the worst taste in movies, but I want a happy ending. If I wanted to stay home and cry, I could just look at the world around me." Wow, I never realized she was married so many times! Oddly enough, I've never read any of her books, but I know she has a commanding following. Sounds like she is very happy with life on her own now. I not only read several of her novel, but also watched movies screened from them. Romance and HEA! Heartbeat, No Greater Love,Palomino are those I watched.